Do you live in a house or a home? We all know that feeling when you walk in the door at the end of the day and feel a sense of belonging and coming "home". One of our most important roles in your project is to help you connect with your creative side; to help you determine what gives you that feeling of being "home". It may include certain colours, or furniture pieces, but often it's as simple as creating a space that you can't wait to share with friends and family, or one where you kick off your shoes, put your pyjama pants on and curl up with a book. We believe these are the ways to create a HOME that allows us to fully connect with ourselves and others in our lives. Interior Design Projects from $10,000 to $2,000,000. Renovation Projects Including Project Management $25,000 to $300,000. Typical Kitchen Renovations $25,000 to $75,000. Bathroom Renovations $10,000 to $50,000. Complete Home Furnishing and Window Covering Packages from $25,000 to $250,000. Design fees range from $150 per hour to $40,000 depending on scope of project, not including project management fees. Drafting services and custom home design available on a project or hourly basis. We can't wait to get started with you on your project! 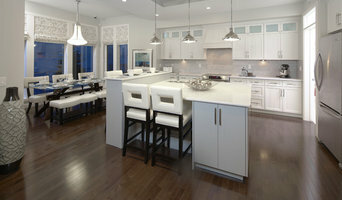 Gentry Home Builders builds new custom homes, infills and completes large-scale renovations. We also specialize in insurance losses throughout Edmonton and Sherwood Park, and a vast radius of surrounding communities. No matter what the magnitude, there’s a lot to think about when you’re designing and planning a construction project. Gentry's building process makes what can seem like a daunting task of building or renovating your home or commercial building easy and simple. First, we work closely with our customers to find out exactly what their priorities and specifications are. Our dedicated team of tradesmen, designers and consultants work together to turn your plans into a reality. Under the meticulous eye of owner Vince Reid, these construction experts ensure that your project is built to the utmost quality. As part of our policy, we ensure that all follow-up items are completed so far as to exceed your expectations. We will continue to remain available for advice and future referrals. Experience true, custom build, exquisite, and flawless workmanship for yourself. We guarantee a smooth process from start to finish. 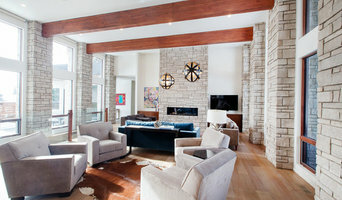 Ask about our Custom Build Package on all custom homes. We submit all receipts at invoice time to ensure the homeowner knows exactly where every last penny goes. One of the best ways to liven up your Residential or Commercial space is with a splash of colour; a fresh coat of paint can spruce up your rooms quickly while keeping you to a fairly modest budget. I feel that a new coat of paint is the most effective way to change a space and to increase it's value. Protecting your home or building with paint will not only make it look beautiful, but also will enhance the community as well. We also try to protect the environment by using low VOC paint as much as possible. 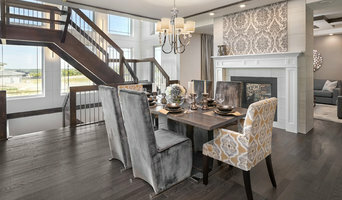 Evelina Developments is the next generation of home design. CEO Evelina Mannarino is a female homebuilder with an eye for quality that is unrivaled. We do everything that other builders don’t do. For starters, we refuse to cut corners and we use only the best materials. We also take great pride in working with only the best master trades. In fact, we are so proud of our craftsmen that each of our homes comes with a 10-minute video that shows you exactly how your home was built, and introduces you to the actual builders who put hammers-to-nails to create your home. In addition, every home we build uses custom blueprints which are used only once and then put in storage. So you can rest assured that your home is distinctive and one-of-a-kind. We are Novel Painting Solutions, an Edmonton, Alberta based painting contractor that specializes in custom residential interiors. After 10 years of working within the painting industry, we decided to start something fresh and innovative—something that we found to be strangely uncommon in our previous experiences of working with other contractors in our field. Our objective was to produce a quality, highly professional, personable painting experience combined with a creative, artistic perspective… what a NOVEL idea.